American Artist and Illustrator Chet Phillips creates these funny character combinations form Scifi, Cartoons and Movies, set on a typical old style Japanese painting backgrounds. Phillips has created a book containing these and more characters that you can buy. 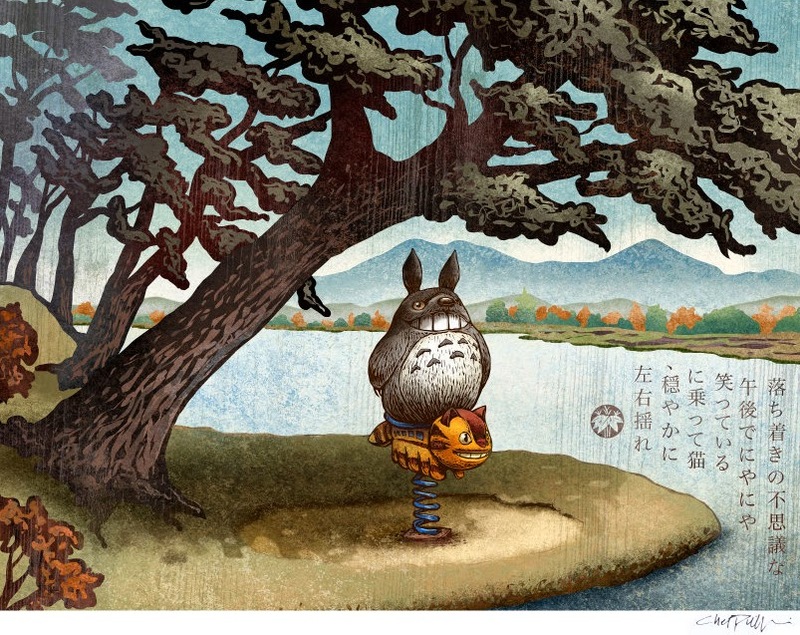 At the bottom we have added a couple more of his illustrations. If you like "Breaking Bad" and "Big Bang Theory" you will love these. Once in the article you can enlarge the image by pressing it (not the first one). 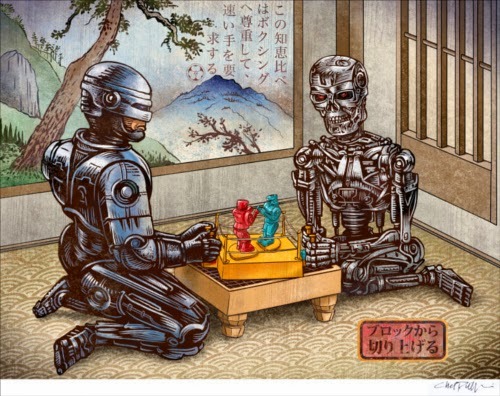 Robo Cop and The Terminator playing Rock Em Sock Em. 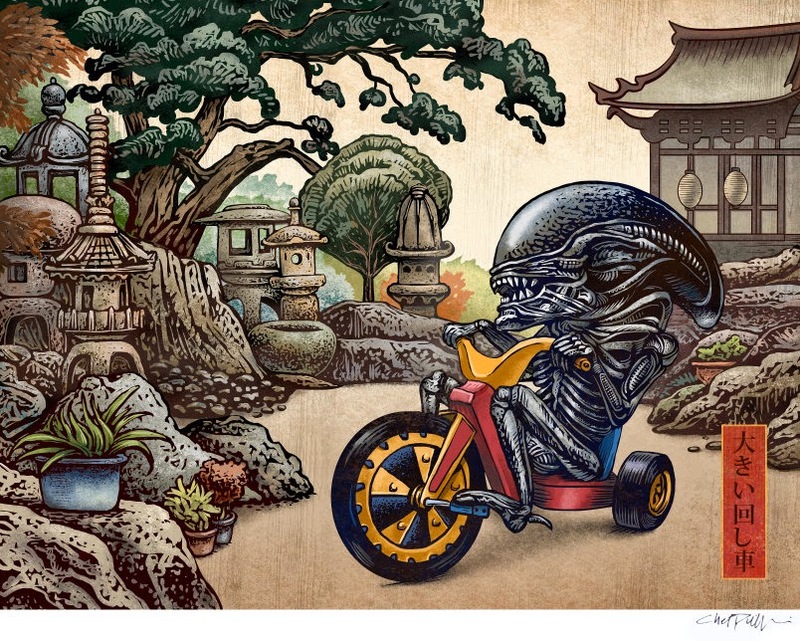 Alien Riding a Big Wheel Tricycle. 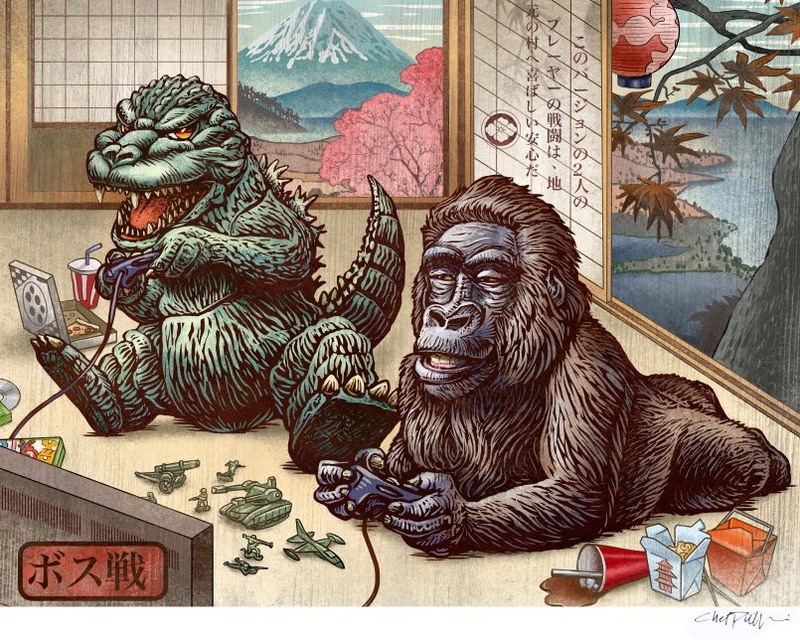 Godzilla and King Kong playing a video game. 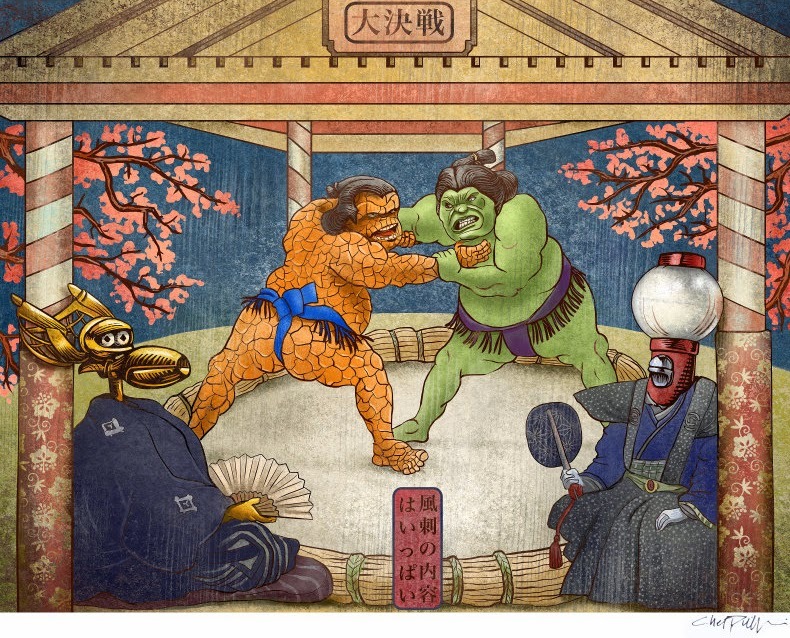 The Thing and The Hulk in a Sumo Match. 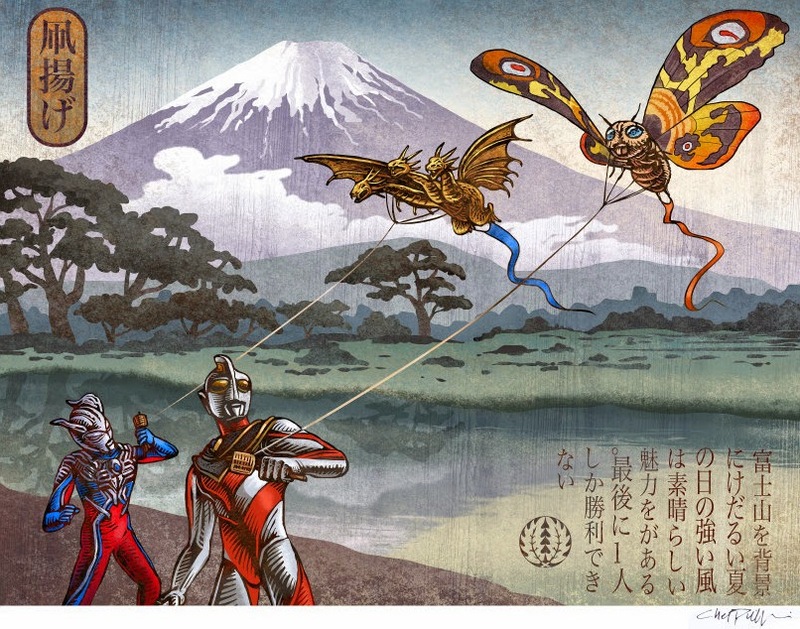 Ultraman and Ultraman Zero flying Mothra and King Ghidorah as Kites. 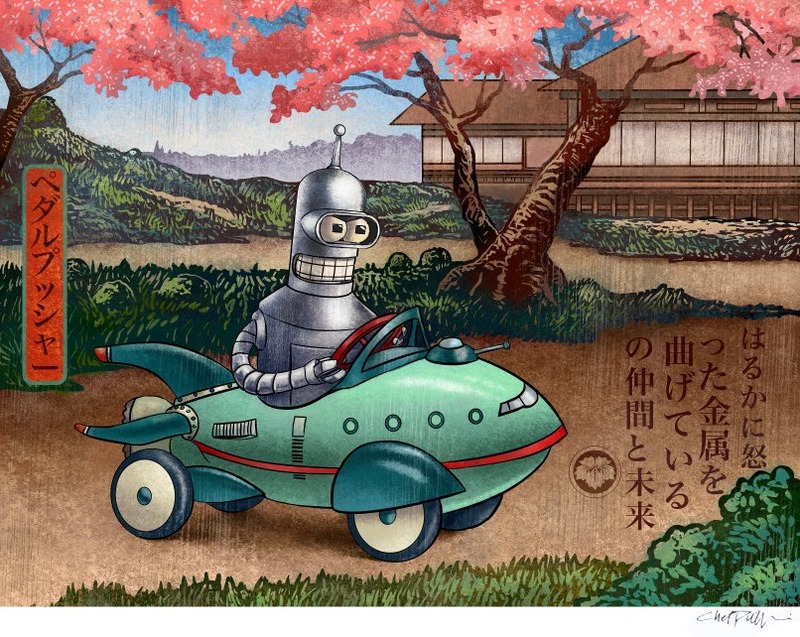 Futurama Bender Driving a Planet Express Pedal Car. 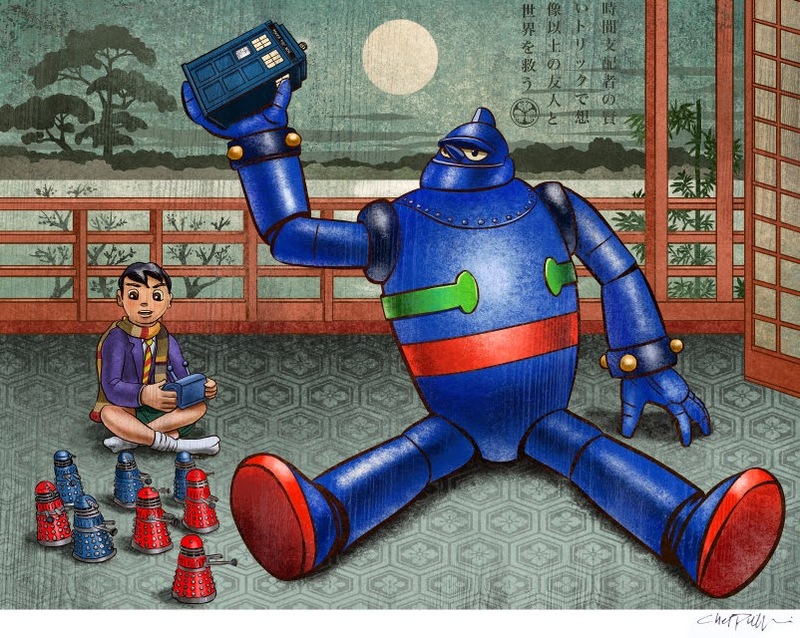 Robot T-28 Playing with a Dr. Who Tardis and Daleks. 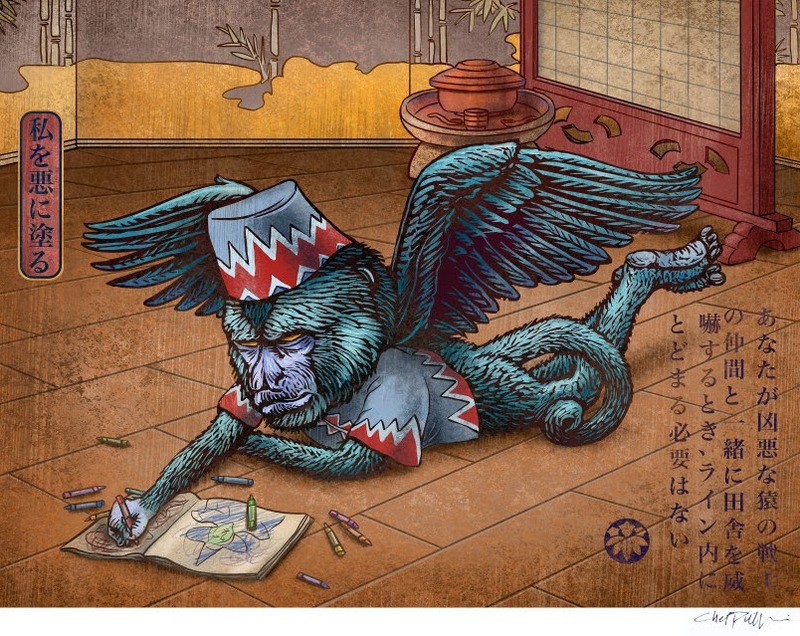 The Flying Monkey from The Wizard of Oz. 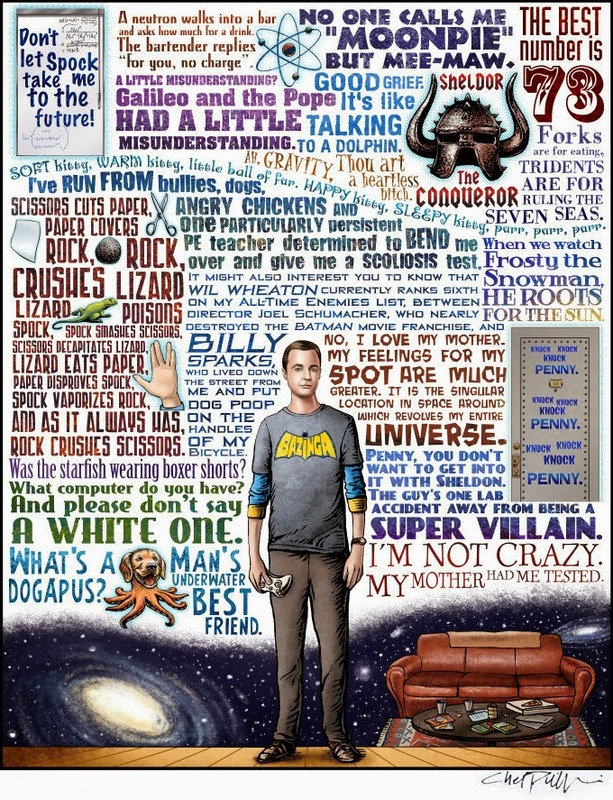 Big Bang Theory - Sheldon Cooper. 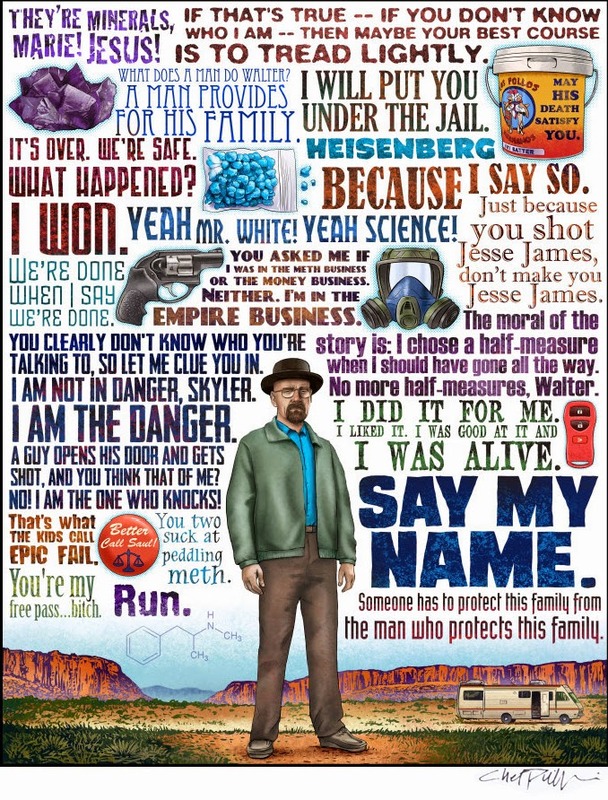 Breaking Bad - Say my Name.